It was 1959 that Volkswagen began building on the site of the former armaments factory of Henschel Flugmotorenbrau GmbH. Today, the VW works in Baunatal near Kassel, responsible primarily for the production of gearboxes, has about 15,000 employees and is the largest employer in the region. It is here that the KEMPEROL success story began in 1969. Messrs Krug and Schmaling from the Building Department proved to be ideal assistants in the birth of this product development, for it was they who asked Dr Heinz Kemper to find a solution for the apparently insoluble problem of leaking flat roofs. This innovative entrepreneur, the owner of Kemper Kunstoff & Lackfabrick (which later became Kemper System) just a few miles down the road at Vellmar, had already completed various contracts for VW. He accepted the challenge immediately because he recognised the enormous economic potential. He couldn’t have chosen a better time! The 1960’s marked an economic boom decade in the Federal Republic of Germany and industrial production exploded beyond all expectations. 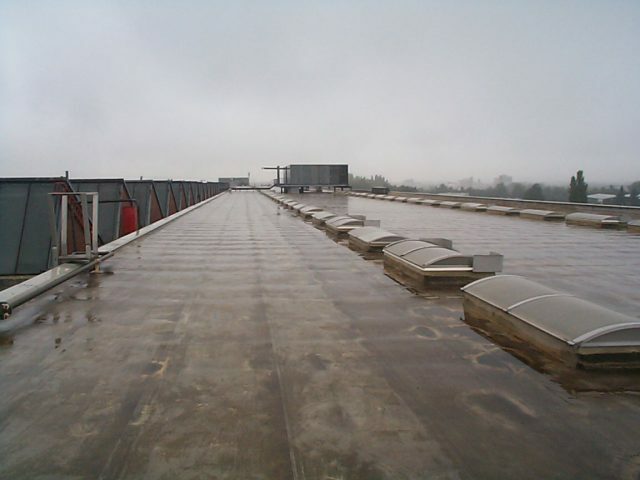 The flat roof had become a standard for industrial buildings for reasons of cost, but the waterproofing materials at that time could not match the demands. Expansion joints, details and junctions proved to be especially vulnerable to problems. Structural movements and the diverse behaviour of different materials very quickly led to cracks in the waterproofing. Moisture began to penetrate and threaten the hitherto untroubled manufacturing operations. Dr Kemper had already used polyester for internal waterproofing measures. He now started testing ways to make polyester flexible. He was looking for a permanently elastic material that could accommodate stresses in the substrate and compensate for structural movements without tearing, without becoming brittle. After many disappointments, the 210th test finally proved successful. And that first liquid waterproofing material has retained its unspectacular, technical designation to this day: KEMPEROL V210 (V = Versuch = test), The three-component liquid waterproofing system based on unsaturated polyester resins began its success story, whihch has continued to this day. The newly developed KEMPEROL V210 was first used by VW on its power station before Mr Schmaling, one of the co-initiators of the project, specified the new waterproofing for buildings 1 and 5. The roofing works for VW have been carried out by local roofing contractor Johannes Becker GmbH for deades. Back in 1969, as the first major project got underway, it was Heinz Becker who was responsible for applying KEMPEROL V210. The current head of the company, Volker Becker, carries on this tradition.